Nicole completed her Master’s Degree in Acupuncture and Certification in Chinese Herbology at the Academy for Five Element Acupuncture in Gainesville, FL in 2009. In addition to her Chinese Herbal training, she has three years of study & training in Western Herbal Studies from the California School of Herbal Studies. With her acupuncture training in the Five Element Tradition, an ancient medicine rooted in Taoism and the cycles of Nature, Nicole draws upon & weaves the great teachings of nature into her treatments. Although Nicole see clients of all ages and genders with a wide variety of ailments, she specializes in Women’s Wellness and Pediatrics, with extensive training in Pregnancy & Postpartum Care, Fertility, Hormonal Balance and Preconception Preparation. She is passionate about creating sacred space for healing and empowering her clients to honor the deep wisdom in their bodies. Dr Briana's practice focuses on Preconception Care and Fertility Support, Womens Wellness at any age, Hormone Optimization, Postpartum Care and Integrative Pediatric Care. Dr. Briana Sinatra was born and raised in Vancouver, Canada, where she completed her Bachelors of Science in Biopsychology. Her passion for Natural Medicine took her to Seattle, Washington, where she attended medical school at Bastyr University and completed a 5-year program for Naturopathic Medicine and her Masters of Science in Acupuncture. Before moving down to California, she held a family practice in an integrative wellness center in White Rock, British Columbia, Canada. When Dr. Briana is not working she enjoys spending time with her husband and kids, cooking nutrient rich meals, attending farmers markets, practicing yoga, walking, hiking and playing outdoors. Meredith Brown is a Nutritional Therapist and enjoys working with clients to educate and empower them to become the greatest version of their self through traditional foods, nutrition, and herbs. While Meredith enjoys working with clients of all kinds, her focus is on women, mothers, and raising a healthy family. She has gained experience through her studies, from being a mother of two young children, and a personal journey of self-healing that began 15 years ago. Meredith is excited to offer the community her knowledge in one-on-one counseling sessions and in small-group class settings. She offers experience and knowledge on the topics: digestion issues, gut dysbiosis, adrenal fatigue, high blood sugar, anxiety and mood dis-regulations, depression, premenstrual syndrome, addictive tendencies, poor sleep, low immunity, and a toxic burden. Lisa's passion and life work is to support women and their families as they make the transformation of bringing their baby into the world. She has spent the last 10 years leading Prenatal Yoga classes and workshops to help guide and ground women who are striving to create a stable base for their baby’s birth. She completed her birth doula training in 2011 through DONA and has been working happily ever since. Lisa is passionate about birth and providing support. She firmly believes in the uniqueness of each birth, and the importance for each family of making their own informed choices. After having given birth to her own children her dedication to the work of supporting and nurturing in this way has been solidified. Lisa is honored to be a part of the birth community and happy to serve in whatever way she is called. Brooke Radloff, MA, provides Integrative Counseling, Coaching, and Ceremonial Healing sessions specifically for pregnancy, birth, postpartum, and ongoing life as a parent. Brooke has been supporting women and families in pregnancy, birth & early parenthood for over 20 years. She holds a Master's degree in Integral Psychology from John F. Kennedy University and has completed extensive education, training and professional certifications that include the areas of Midwifery and Childbirth Education, Mindful Childbirth and Parenting, Holistic Health Education, Facilitation and Mediation, Integrative Wellness & Life Coaching, and a variety of holistic healing techniques. As part of her graduate studies, Brooke developed a groundbreaking, integrative model that supports and facilitates optimal health, well-being and transformational growth from pregnancy through parenthood, which has been studied and implemented in many places throughout the world. 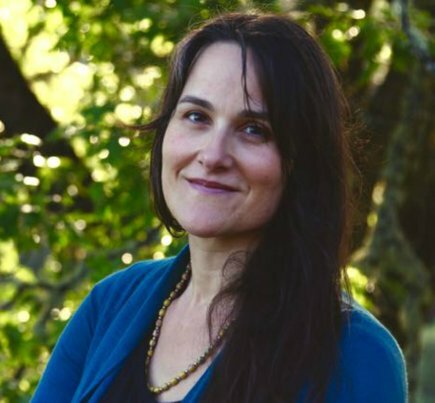 Brooke incorporates a variety of modalities into her counseling, coaching and ceremonial healing sessions that include emotional, cognitive, and somatic healing techniques. She aims to create a nurturing healing environment that is tailored and attuned to the unique needs of the individual. Her approach is compassionate, empathetic, holistic and practical, as she helps her clients successfully move into greater balance and well-being in all areas of their lives. After dealing with years of chronic pain and then sustaining an injury that western medicine could do little to help, Sara looked for a way to exercise that would not cause her further pain. She began practicing Inner Radiance Qigong, fine tuning it over the past six years, and its effects on her life were so significant it inspired her to learn more about Chinese medicine and using energy to heal. She was introduced to Medical Qigong treatments (the use of energetic projection to remove stagnations and balance the body’s energy) and began a deeper healing that resulted in her training to become a Medical Qigong Practitioner and Inner Radiance Qigong Instructor. Now, with over three hundred hours of training, she has her own practice, Turtle Moon Qigong where she works to inspire others to keep moving, and find empowerment by exploring their own energy. She is also a writer, actor, and director who enjoys collaborating with artists to incorporate qigong into the creative process.